The first time my son had to wear an anti-pollution face mask was when my husband and I took him to the biggest public hospital in our town. As I have written before, my strong-willed toddler son is NOT A FAN OF DOCTORS, no matter how nice they are, and no matter what method they use to bribe him. Cookies and toys don’t do the trick; he’ll walk away with new stickers without the doctor being able to perform the checkup. That’s how strong-willed he is, though, truly, a trait I have come to love. 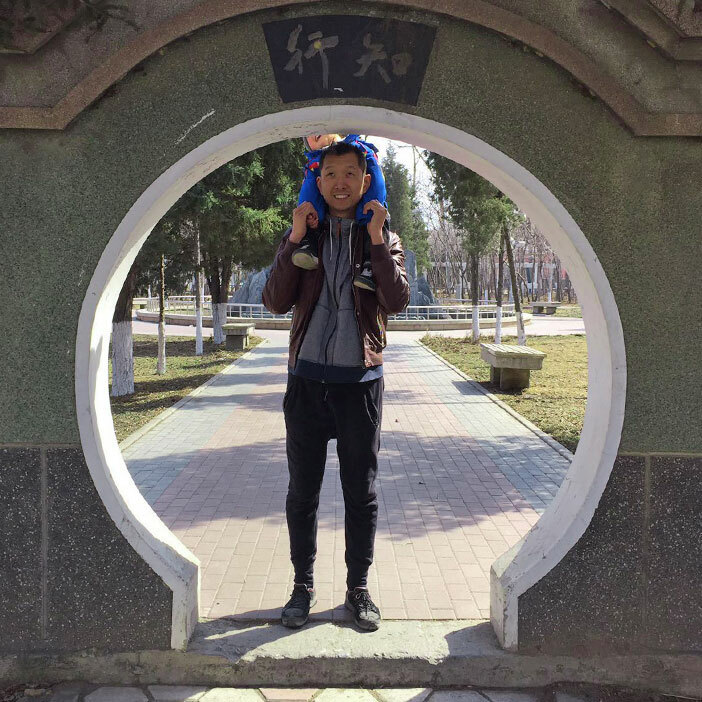 When we first moved to my husband’s hometown in Northeast China, we didn’t realize how bad the pollution could sometimes get. We live in a fourth-tier city of three million and on average, the pollution is lower than in Beijing and we do have plenty of blue-sky days, but spring is notorious for bad air caused by field burning in surrounding areas and other pollutants. Spring air is also filled with sand that gets blown our way from the not-so-far away Inner Mongolian steppe. Usually, our son just stays home with me or grandma if the pollution gets bad, which is why he didn’t need to wear a mask up until the age of 33 months. Knowing how strong-willed he is, and the fact that he had been sick with a fever for ten days, making him even less cooperative than normal, I expected his resistance. Just that he didn’t resist. He is either outgrowing toddler tantrums, or I unintentionally taught him really well to love wearing a mask. We have an electrical mask, the kind you charge overnight. As soon as I told him he could turn on the filter himself by pushing a little button, there was no resistance, only cooperation. I had unintentionally been preparing him for wearing this cool technical gadget for months (I assume this is what it must look like in this almost three year old toddler’s eyes). 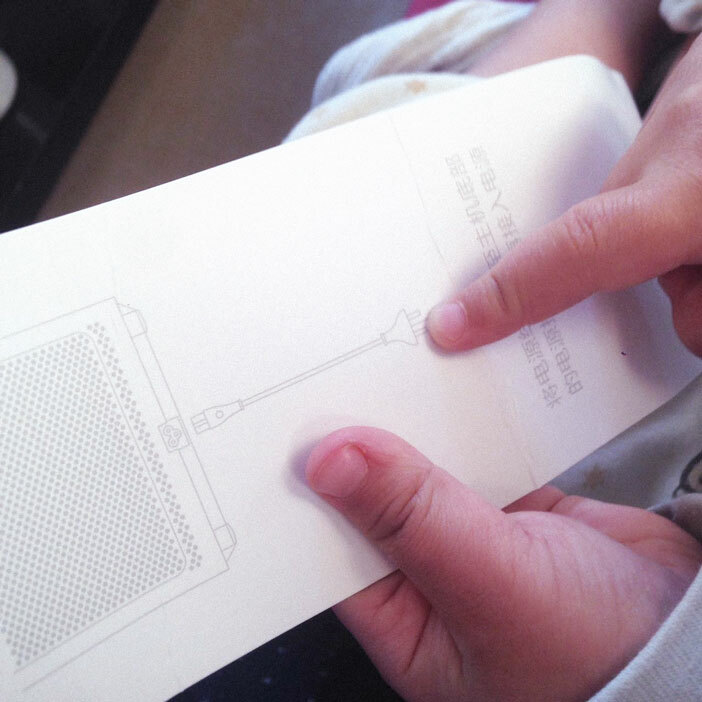 After my husband had bought the anti-pollution masks a few months prior, my son would ask me to read the manual to him and explain all the steps used for charging the batteries and changing the filter over and over. He loves reading instructions and manuals as bedtime stories and during the day. It is probably no surprise that his love for reading manuals developed at the same time the “Why Phase” started. He will dig up instructions for putting together furniture, will look for me with the diaper packaging in hand, asking me what all the signs mean, and will ask me to read him simple recipes with drawings, step by step, as his bedtime story. The masks my husband had bought are actually for grown-ups, so when reading him the manual, I never had any intention of reading it so he would not resist wearing it one day. My son’s anti-pollution mask hadn’t arrived yet, thus we just put one of the grown-up masks on him. All the reading the manual really paid off. It prepared him for wearing the mask, and even made him eager to do so. As we took him to the hospital, he even seemed happy about it. When we arrived, he stated that we were at the airport, a place he loves. Although I’m sure he knows very well that the hospital is not an airport (he had been to the hospital once before), and even though he still tried to resist doing the checkups in his usual strong-willed manner, he seemed to be excited over this outing with mom and dad wearing this special face mask. When I sat with him in the car waiting for my husband to come back with the results of the blood tests after the checkup and the batteries of my son’s mask stopped working, he was all ready to disassemble the mask like he had seen in the manual to change the filter and batteries. He had definitely been paying more attention to the contents of the manual than I did while reading. Luckily, the results were fine and showed that my son was already on the mend.